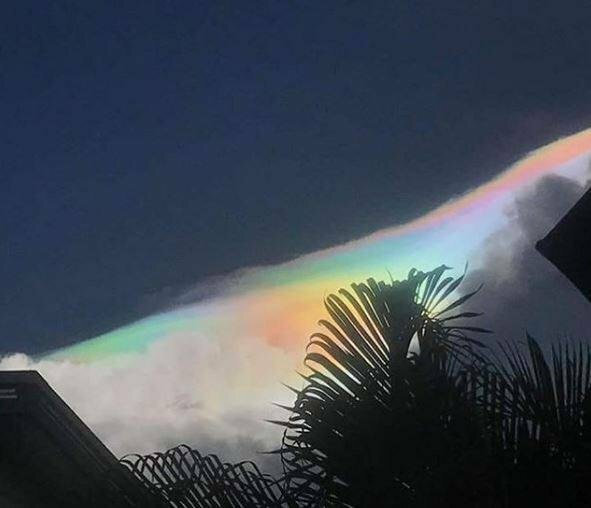 Home Sky Cloud Is this giant iridescent cloud over Darwin, Australia, natural or weaponized? 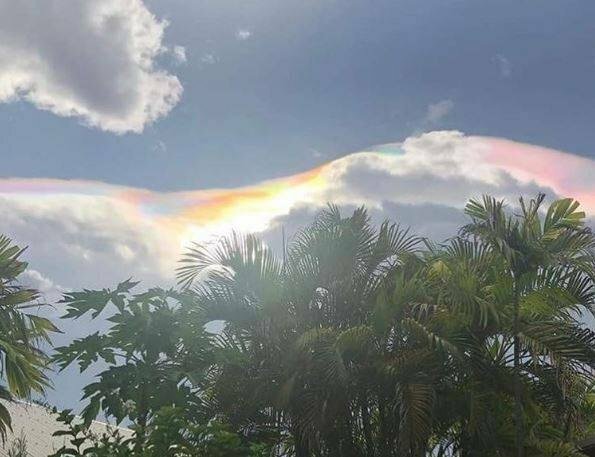 Is this giant iridescent cloud over Darwin, Australia, natural or weaponized? 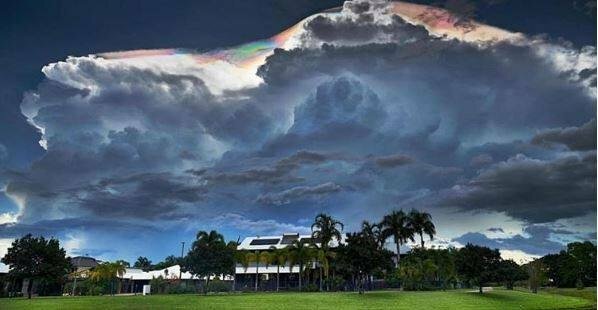 This giant iridescent cumulonimbus clouds was captured by Claudia Curzio over Darwin, Australia on January 15, 2018. Now my question: Is it another miracle of nature or is it man-made? 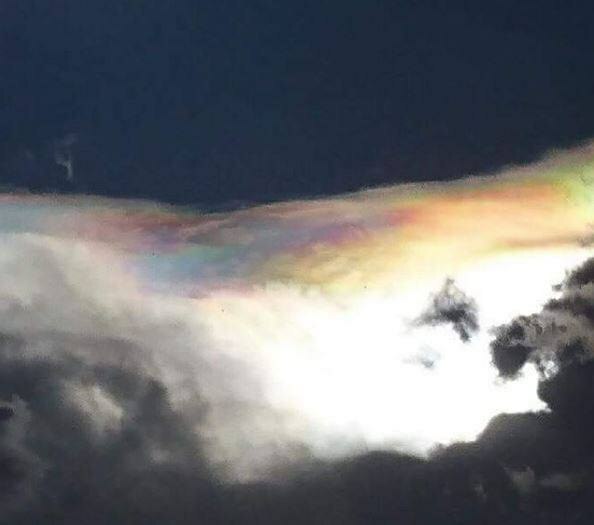 Let me know what you think about this strange cumulonimbus cloud iridescence in the comments! nowadays. They will be cooling the atmosphere so that temperatures rise more than 40ºC – 104ºF. The adiabatic lapse rate is 5.5 degrees per thousand feet. It is way below zero at forty thousand feet. Yes truth is stranger than fiction! But this is evil stuff! If it was good they’d be open about it but they’re not. Hey all you globalist sh*ts if your “new world order” was so great why do you have to implement it with so many lies & deceptions? Did it ever occur to you that something that is birthed in deception can only grow into a huge LIE?!! What kind of a world would that be eh? Not good. A beautiful Galactic Federation of Light mother ship. It can be equipped with high tech weapons. But they have peaceful mission to observe the Earth change. 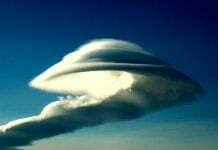 Nothing is Natural- we must all investigate to fully understand what has taken place for 70 plus years by our Military Industrial complex patented weather modification programs. The only way to stop these programs is to learn the facts Geoengineering watch makes it easily available to get the data/facts- time is not on our side. Please help sound the alarm and waken the masses. Yep thanks for your voice! And for the links! Dust and water vapor really make for a show of colors. The cloud has evidence of high volume chem-trailing. I thought that Southern Utah was being sprayed the most? Looks like they’re out and about in many places. In Southern Utah you see the same hues at sunset all over the sky, pinks, oranges and blues that are hazy after a busy day of chem-trailing. However most of the locals here think it is just beautiful sunsets. Yes, the colors are new and chemically produced. 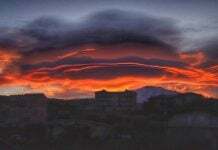 Asleep people think that brand-new weather phenomena is okay to see. No, there is nothing new that’s “natural” to the Earth. This includes polar vortex, bombogenesis, and other stupidly-named “new” weather things. In America on the Great Lakes for the last few years we’ve had ice balls (perfectly round, about 12 inches diameter) that stay in the lakes until May or June. Though they’re “new” and resulting from toxic chemicals, asleep people think nothing of them. We’ve seen these things over Colorado, particularly in the northern part of the state. The rainbow of colors appears to be the result of petroleum contamination of the moisture droplets. The rain produced by these things leaves an oily film on cars and glass. It kills trees, or branches on trees, especially fruit trees. The oily contamination is highly concentrated in some small areas (1 to 3 meters in diameter) and virtually absent in others. The rain from these things almost always tastes salty. highways into ocean – Temp anomaly in Wyoming! I’m sure that drought that south eastern Australia had 2001- 2009 was a manufactured harp event. I don’t know why but I my sense is it was to blackmail Australian govt into going along with something that they didn’t want to do but eventually capitulated. Then the drought miraculously broke! …and we’re breathing this stuff every day. Blah blah blah. Blah blah blah. Take photo that includes the sky and clouds. Click use the Magic Wand to quickly create a selection over just the sky area. Create a Levels adjustment layer over top of the selection layer. A Levels adjustment comes up with only the sky area masked to view, the non sky area blacked out. The Levels adjustment will go to all three color channels and the black and white lumination channel and adjust them all so they are mathematically correct, with center point in the center, the highest and lowest value at either end the end points of the adjustment levers. The result will be EXACTLY like this “luminiscent” cloud photo. 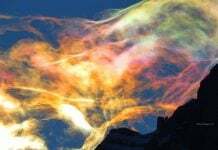 It is SO easy to create in Photoshop it’s a wonder these kinds of lying wonders are not seen more often in photos of skies from around the world trying to “prove” one such conspiracy or another.